Below you can view all the homes for sale in the Dream House Acres subdivision located in Centennial Colorado. Listings in Dream House Acres are updated daily from data we receive from the Denver multiple listing service. To learn more about any of these homes or to receive custom notifications when a new property is listed for sale in Dream House Acres, give us a call at 720-924-7403. Please call to schedule your private showing. MLS#3245396. Home Brokers, LLC. Exclusive area with $1MM+ homes in the neighborhood. Buyer to verify all. MLS#7470350. 4% REALTY. Bring your vision and your tools to bring this home back to life. MLS#2801702. RE/MAX Alliance Northeast. Easy commute in all directions. Quick possession available. MLS#7229973. Alliance Real Estate Group LLC. Incredible location with Streets of Southglenn, Trader Joe's, Highline Canal trail, & South Suburban Rec Center nearby! MLS#4558917. RE/MAX Cherry Creek. 3 minutes to Streets at Southglenn and Whole Foods, Snooze, loads of shopping and restaurants. MLS#8667125. COLDWELL BANKER RESIDENTIAL 54. Special Features Sheet available and on site, for a more detailed list of all this wonderful home has to offer. MLS#1712659. 1ST REAL ESTATE GROUP. While this property feels like a secluded escape, it is ideally located next to High Line Canal Trail, Cherry Hills Marketplace & easy access to I-25 & DTC! MLS#7146633. The Steller Group, Inc. Walking distance to Streets of Southglenn, DeKoevend Park. Award winning Littleton Schools. MLS#2496951. RE/MAX Masters Millennium. Additional Features Include: *Updated Main Bath *New sprinkler control system *Newer paint *Newer Driveway, Garage Floor, Front Porch & Sidewalk *Newer Roof *Playhouse MLS#6283621. COLDWELL BANKER RESIDENTIAL 24. The side yard allows space for recreational vehicle parking on the mulch. MLS#7753560. HomeSmart Realty Group. open to dining and living areas.completely remodeled with all new fixtures and flooring. Finished basement. MLS#5313543. Resident Realty South Metro. 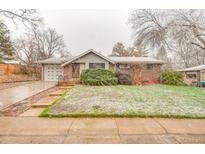 Wonderful location within walking distance to Streets of Southglen, Trader Joe's, Parks, Walking Paths, Rec Centers, and only 10 minutes to DTC. MLS#5962956. Keller Williams Advantage Realty LLC. Roof replaced in 2014. Quick close, quick possession available. MLS#4147471. Premier Properties. The "other" finished sq-ft listed is the 274 sq-ft sun room that is fully enclosed. MLS#6715766. STERLING REAL ESTATE GROUP INC.
SouthGlenn Mall is 1 mile to the south, Cherry Hills Marketplace is 3/4 mile to the North on University. MLS#3960252. Keller Williams DTC. Walking distance to deKoevend Park, the Highline Canal & 5 minutes from Goodson Rec Center, Trader Joe’s; restaurants, movies & shopping at The Streets of Southglenn; great schools! MLS#2833914. RICHARD L LUNNON. Oversize two car garage plus Custom Endless swim system pool in 3rd garage space. New perimeter fence! MLS#9472060. Keller Williams DTC.